Filled with some of the most spectacular (and eerie) landscapes and miles of vast, open roads, driving Iceland's Ring Road is an incredible adventure. However, Iceland isn't a cheap place to visit, and it's even more expensive to visit for the amount of time it takes to circumnavigate the country. For the average budget traveler, Iceland may seem like a huge splurge. One way to save a lot of money while traveling in Iceland is by camping instead of staying in hotels or hostels. If you're camping for the first time, you'll want to make sure you have all the necessary equipment before you leave home. There are also places in Reykjavík where you can rent equipment you may need. There are campsites anywhere you'd want to go on the Ring Road, so you can jump in a car and start your journey. 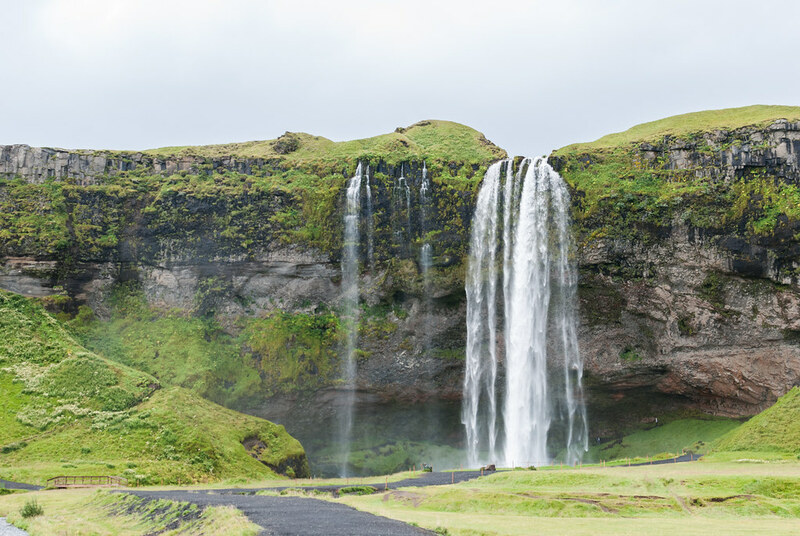 As a popular tourist hotspot, Seljalandsfoss is most famous for having a short hiking trail that enables visitors to venture behind the waterfall. Although travelers can see this waterfall on day trips from Reykjavík, it’s worth spending a night in the area to explore its many attractions. A few kilometers down that same road rests another, smaller waterfall hidden behind a large rock. Right next to that waterfall (and within view of Seljalandsfoss) is a lovely little campground where you can rest your head for the night. Skogafoss is Seljalandsfoss’ friendly neighbor and is another popular waterfall for visitors to Iceland. Right near the parking lot, there’s another campsite here where visitors can pitch a tent. This one has up-close and personal views of Skogafoss. The amenities here are very basic, and there’s always a steady stream of tourists coming in and out. However, if you don’t mind the commotion, the views here are some of the best of any campsite in Iceland. If you’ve seen photos of Iceland, you’ve probably noticed its famous black sand beaches. Vik is home to many of those beaches, one of the most famous being Reynisfjara, which is known for its geometric basalt towers and beautiful volcanic rock sculptures. For budget travelers, Vik is home to a campsite that boasts marvelous views of these incredible natural wonders. It’s worth the extra driving time off the Ring Road to spend a night in Seyðisfjorður, one of the most charming towns in Iceland in one of Iceland’s east fjords. You might recognize some of the views driving into the city from The Secret Life of Walter Mitty – he had an epic scene skateboarding down the winding downhill street. Amidst its colored houses, mountain views, and peaceful ship-laden harbor, Seyðisfjorður houses a small, cozy campsite. Myvatn is eastern Iceland’s playground. With its geothermal pool, several hikes, lava fields, and a giant lake, there’s so much to see and do here. It’s one of the major stops on Iceland’s Ring Road, and for a good reason – its beauty was the setting for much of the famed Game of Thrones series. Near the lake, there are four available campsites – Hlið, Vogar, Fjalladyrð, and Bjarg. One thing to keep in mind here is that there are a LOT of midge flies that inhabit the lake. They’re completely harmless, but do enjoy hitching a ride on clothing or backpacks. Though having a few flies in your campervan/tent might be a bit annoying, you should expect it when traveling in Myvatn. Most famous for its whale watching tours, Húsavík is a lovely place to spend an evening. With its pretty harbor front and excellent choice of restaurants, it’s a relaxing place to walk around and get some fresh air. Surrounded across the harbor by beautiful, snow-capped mountains, Húsavík is quite picturesque. For the average nature lover, Hvammstangi is a fantastic stop in northern Iceland. First of all, it's an incredibly charming town with plenty of streets to walk around. Also, it is home to many Icelandic seal habitats, where visitors can watch as seals rest or play around on the shore. There's also a seal museum in town to learn more about these hunting creatures. A seaside town on the edge of the Snaefellsnes Peninsula, Stykkishólmur is home to delicious restaurants with Icelandic fare and a large rock to hike with a lighthouse on top. There's also a small, picturesque harbor here to admire amidst small, colored houses. If you're planning to explore the beauty of Snaefellsnes, this is a fantastic place to stop. Although not surrounded by nature like most of the other campsites in Iceland, Reykjavik’s campsite deserves a spot on this list because of its price compared to all other accommodation in the city. About a 20-minute walk from the center of the city, the campsite is equipped with all the necessary amenities. Compared to much higher prices for a hostel or hotel in the city, this campsite is a steal! It's also a cozy place to escape the tourist bustle of downtown Reykjavík, as it's in a more residential area. No matter where in Iceland you'd like to rest your head at night, there's a campsite waiting for you at a fraction of the cost of staying in a hotel. Next time you're in Iceland, consider pitching a tent to save your wallet and experience the finest of Iceland's beautiful nature. Kay Rodriguez is the travel writer and photographer behind Jetfarer, an adventure travel blog for time-strapped travelers. When she's not hiking a mountain or diving into the ocean, you can find her sipping wine and reading a book while listening to Icelandic music on repeat. You can check out Kay's adventures on Instagram, Facebook, and Pinterest.